London’s Borough of Tower Hamlets is one of the redeveloped regions in London, located in the East End, north of River Thames. 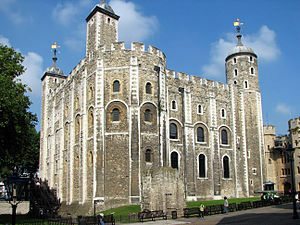 The region has a rich history, filled with stories about the royal houses, prisons and fights for London’s citadel, the “heart” of all England. Tower Hamlets lies east of the ancient wallet City of London. Even though the history is still remembered and treasured through the amazing attractions such as White Tower and the Tower of London, the region competes with the areas of London that are well-known for the shopping streets and party places. For example, the eastern streets of Tower Hamlets provide a modern atmosphere rising from the artistic expression of young designers, the so called “art rebellions” that use old, abandoned buildings to stage spectacular exhibitions and also, of course, from all the vibrant underground nightclubs. A modern landmark of the area is “Troxy”, known as the most versatile venue in London. Originally, the dance hall was utilised for banquets, mainstream concerts and plays. Now is one of the most appreciated locations in London and one that features almost all uses that a man can think about: conferences, banquets, exhibitions, concerts, plays, film shoots, wedding receptions, fashion shows and many others. Tower Hamlets is also one of the five host boroughs for the 2012 Summer Olympics. The event brought a lot of tourists in the area and of course, had a major impact on the economy. Nevertheless, prior to the games, the region was redeveloped, to host the most important event in the history of sports. If you want to visit the 2012 Olympic Park, this is what you can find in Tower Hamlets: The energy centre (King’s Yard Energy Centre), The world square, London 2012 mega-store, Victoria gate – One of the entrances to the Olympic park. Also, the Victoria Park was the place where the spectators that didn’t have the change to buy tickets watched the competitions on big screens. In order to get rail transport from London Luton Airport to Tower Hamlets (E1) you need to take the train from the Luton Airport Parkway Station to Farringdon Underground Station or furthermore, to Whitechapel Underground. The train comes every approx. 15 minutes and the journey takes about 50 minutes. Also, you can take the transfer from Luton to Tower Hamlets. London Luton Airport is 36 miles away from Tower Hamlets (E1). If you want to travel by car, you have to take the M1 road until Edgware, then the A1 Road and A1200, which will take you to the heart of Tower Hamlets. 247 Luton Airport Transfer can always provide you with a transfer from Luton Airport to Tower Hamlets. (E1). The price for a saloon car is £57 and the Luton Transfer can take up to one hour and 20 minutes, if we include any traffic delays that may occur in rush hour time.